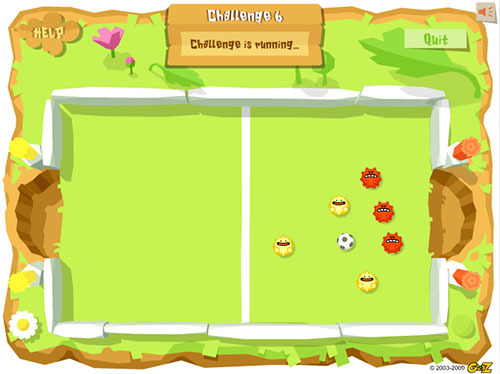 Description Globulos Challenge is the single-player version of the Globulos multiplayer games collection. A sports type of game that is a mix of golf and soccer. Controls Use the characters to bounce the ball into the goal. Click on your Globulos characters and draw an arrow to move them.The longer the arrow the greater the distance. You only have one turn to win and get the ball in that goal!